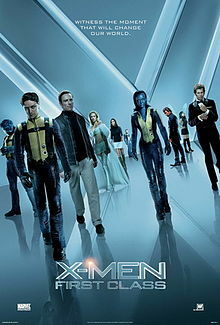 Watching X-Men: First Class like dating smart, beautiful she-monster who be fantastik company – until she drink too much, start rambling, talk about her ex, linger over espresso, and leave you wishing date could have ended sometime after dessert and before she vomit in your cabriolet. Disappointing because movie start off VERY strong but, sadly, overstay it’s welcome like a visiting uncle Herb. Guess what number me tinking. Wrong. Blue! Movie open in WWII concentration camp where boy, Erik, demonstrate superpower of magnetism when he get angry – much to de delight of evil Nazi, Professor Footloose (second worst miscasting in recent supermovie memory), who kill his mother to reawaken his abilities. For some reason, Erik destroy room, crush nazi soldier skulls, but leave mom-killer alive – even tho monster pretty sure professor’s glasses could have been pretty effektive/gruesome weapon. Meanwhile, in England, another boy, Charles Xavier, who have mind-reading/control powers, walk into his kitchen and befriend shapeshifter-burglar, Mystique. Awww. You see? Mebbe you can make friends wit a burglar too if you only make de effort. Twenty years later, everyone grown up (Which, incidentally, make dem in deir 20’s in de 1960’s. So, doing de math, Professor X and Magneto be around 75 years old in de X-Men movies.). Erik trying to track down Professor Footloose who, for some reason, look twenty years younger den he did during WWII. In addition to better looking, he also got hisself three mutant assistants and plan to start WWIII. He really tinking BIG! 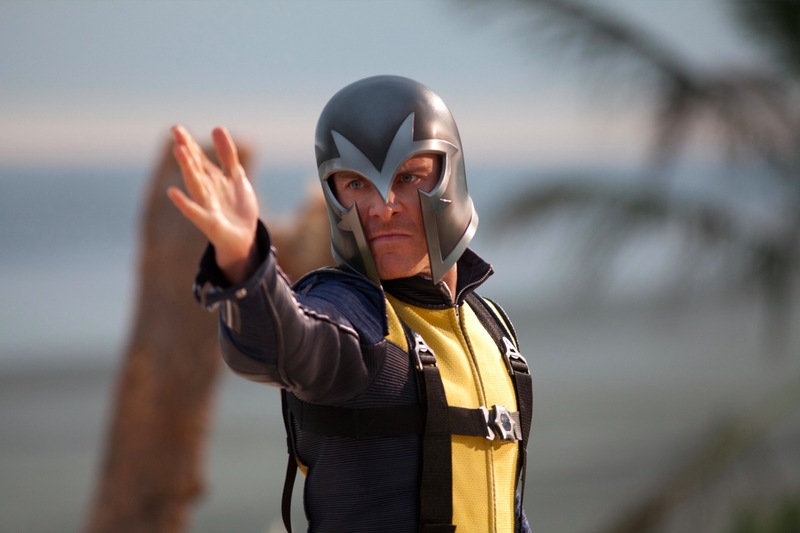 Wit help of Charles Xavier and Mystique, CIA go after Professor Footloose. But he eskape in sekret submarine which, incidentally, be standard on most supervillain yachts. 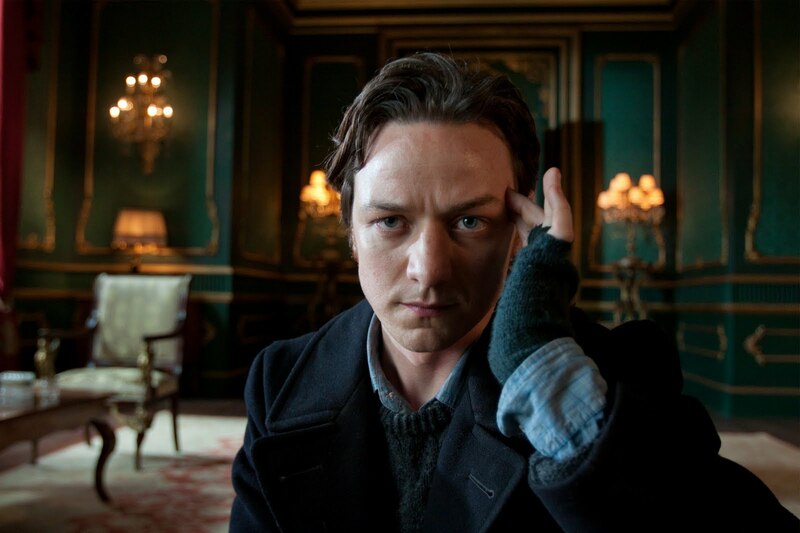 On de bright side, Charles make new ally in de process = brooding Erik. BFF, dey team up and recruit teen mutants. While teen mutants settle in and play Big Brother, Charles and Erik go to Russia where dey capture Professor Footloose henchwoman, Emma Frost (WORST miscasting in recent supermovie history) who about as interesting as a fish ice sculpture – and learn of his plan. While Charles and Erik be in Russia, Professor Footloose attack teen mutants. He kill one, take another, and massakre many CIA agents. Believe it or not (and you probably not believe it by dis picture) but she one of de worst tings about dis movie. Lots of time wasted wit secondary charakters. Mutants train. Den put on new team uniforms and go after Professor Footloose and co. while trying to head off nuclear war. Plenty of action! Explosions! Cool visual effekts! Erik finally get his revenge on Professor Footloose and steal his hat. Charles paralyzed. Nuclear war averted. In movie’s final scenes, wheelchair-bound Charles open up school for gifted mutants. Erik (aka Magneto), meanwhile, wit support of mercenary mutants inkluding Mystique, break White Queen out of jail. Presumably so dat she can get de help she needs. Me hoping acting lessons! Verdikt: A good movie dat about a half hour too long to be a great movie. Rating: 7.5 chocolate chippee cookies.